With all of the different environmental contaminates that we are exposed to in the modern world it is important that we take the time to detox. Today’s world is also fast paced and it tends to pull you in to that fast paced mindset and our bodies are not made for that. When we encounter a fast paced environment our bodies tend to get stressed out. We need to relieve the stress that has built up in us. What better place is there to do that than at PhuketFit Detox Retreat in Thailand? Thailand is a great place to relieve stress, it is a paradise location that will take you away from work and the other parts of your life that will cause you to build up stress. 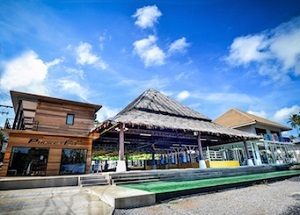 The area around PhuketFit Detox Retreat in Thailand is known for its relaxation and cleansing practices and there is really no better place to go to help you start fresh. For starters the area has cleaner air than people from big cities are used to, you can actually look up and see a blue sky that doesn’t contain smog. Also, Thailand is known for its stress relieving massages. The program at PhukeFit is the perfect for you whole body and mind. We insure that all of your food is locally sourced, super food rich, and healthy for you. Even the deserts will tickle your taste buds while leaving you feeling clean. You will also experience activities like daily traditional oil massages, a herbal sauna, meditation class, Yoga and Yoga Breathwork, and other optional activities. You will also have access to an air conditioned gym to get an intense workout to combine with your relaxing practices. The best part about it? The facility is beautiful and is only five minutes away from the beach. Why go to a detox retreat anywhere but PhukeFit Detox Retreat in Thailand? The area is perfect for cleansing your body of unwanted toxins and stress. The staff and environment of the facility is also a perfect match for your cleansing needs. When you emerge from your cleanse you will be a healthier, calmer you that is ready to take on another goal. Posted in: Fitness and health.